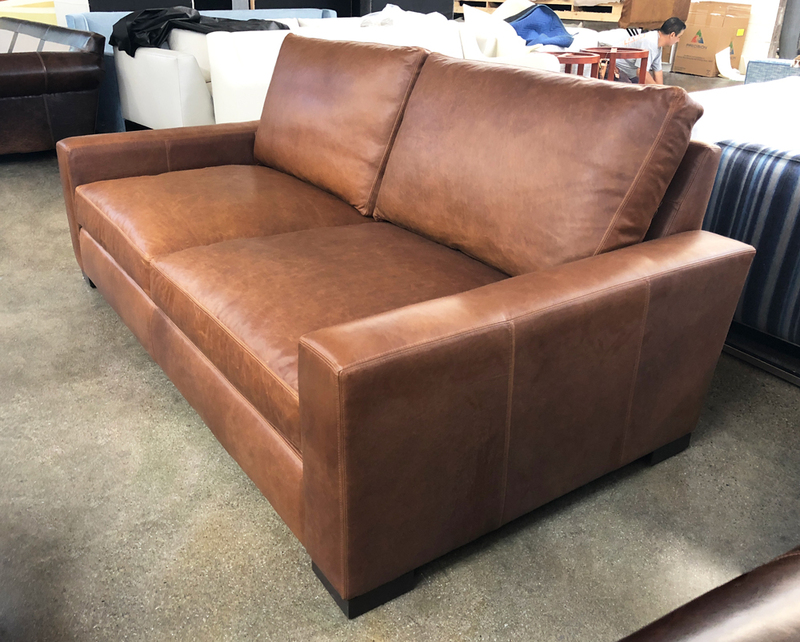 This beautiful sofa went to a lucky customer in Lafayette, Louisiana. 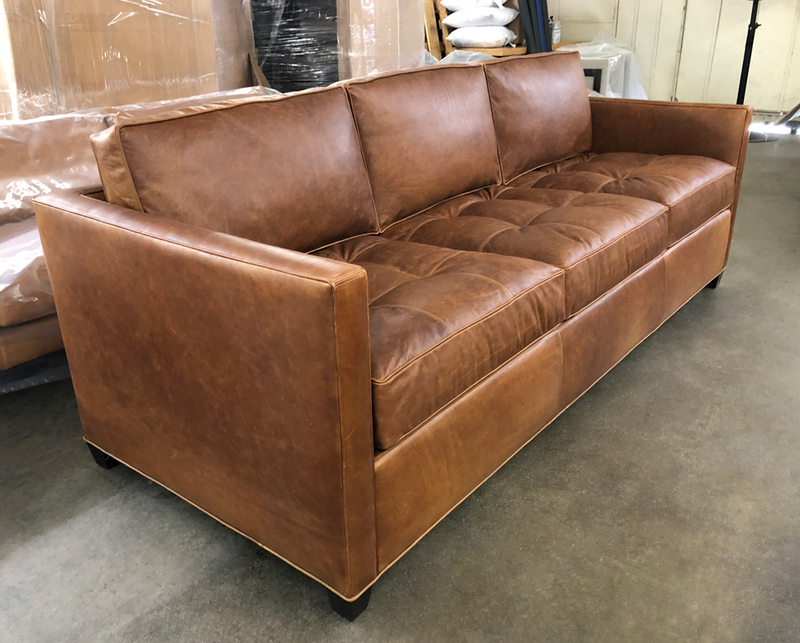 This sofa in our Italian Berkshire Chestnut leather which has an authentic, rich leather look and takes on an amazing patina over time. Check out our Braxton line here! 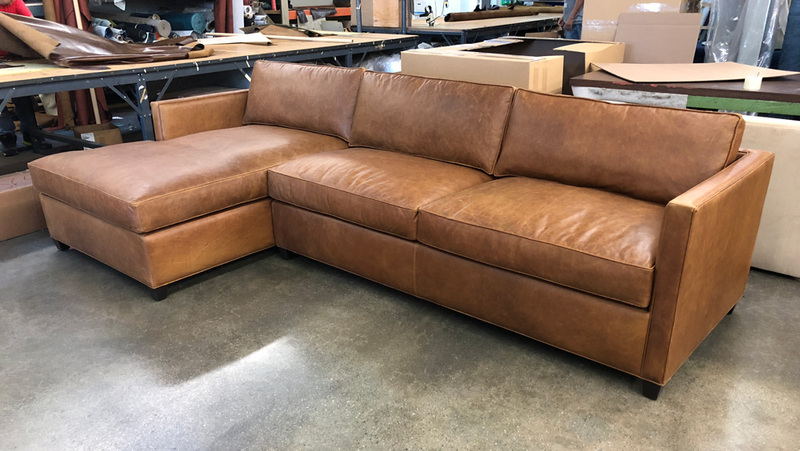 This entry was posted in Braxton, Custom Leather Order Feed and tagged 46" Deep, Berkshire Chestnut, braxton leather sofa, Italian Berkshire Chestnut, No Ears on February 15, 2019 by Rich Hauser. 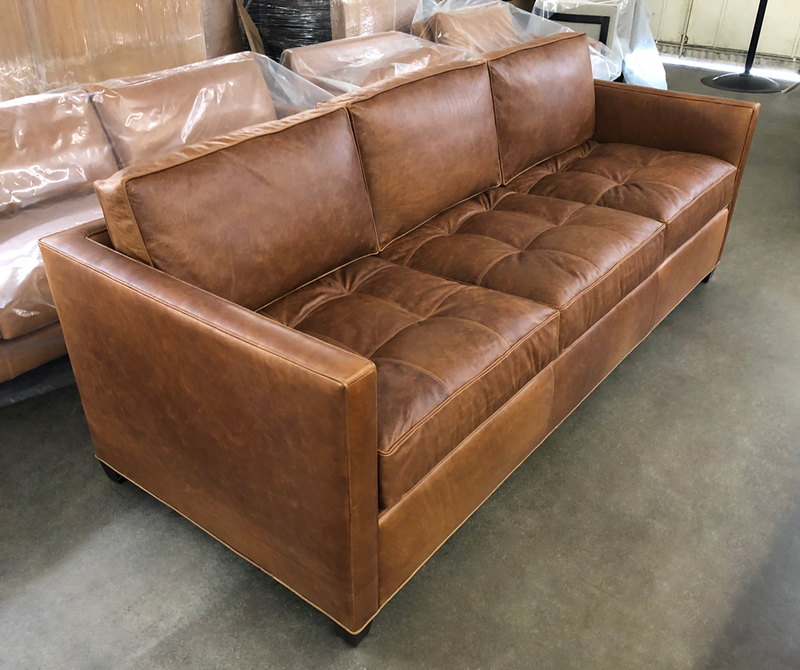 One of our customers in Raleigh North Carolina recently received this beauty! 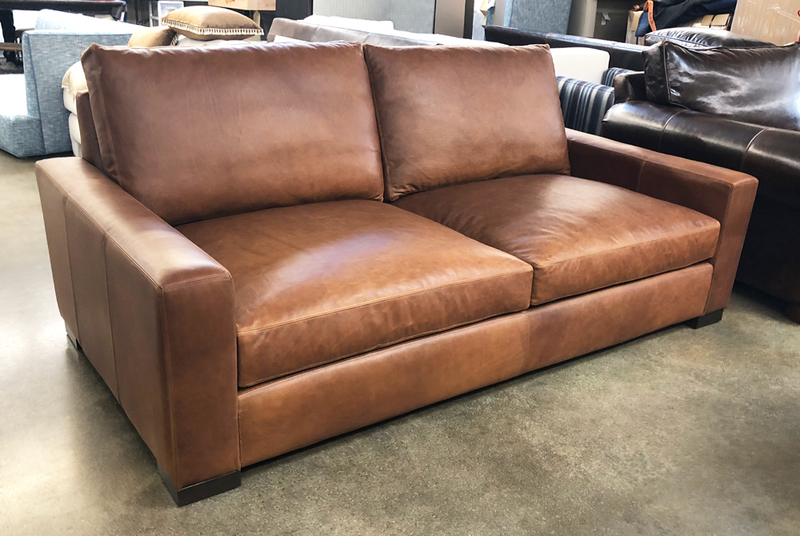 They opted for our 43 inch depth option with no ears and selected Italian Berkshire Chestnut as the leather. These are great photos of Berkshire Chestnut when it is just been pulled from a stack of hides, cut and upholstered. 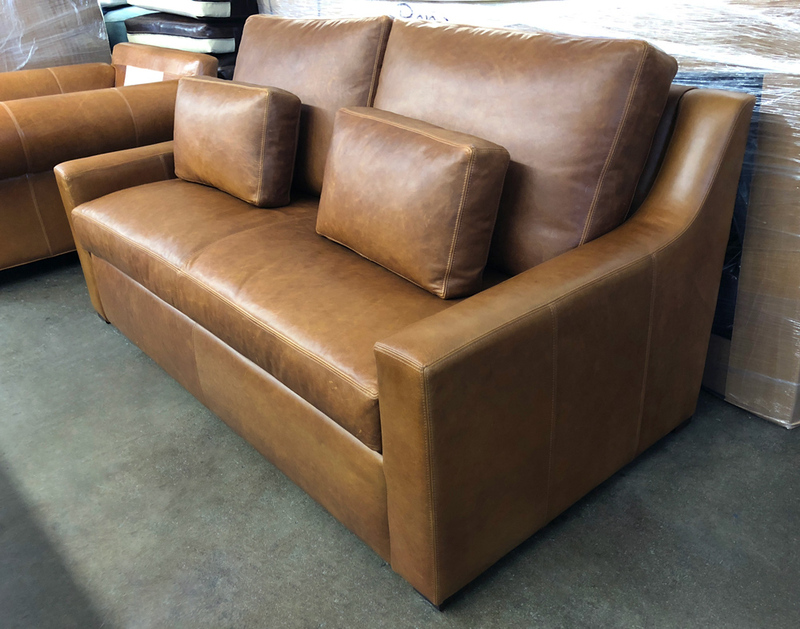 Berkshire is Full Aniline leather, so the color of these hides range from darker to lighter from batch to batch. 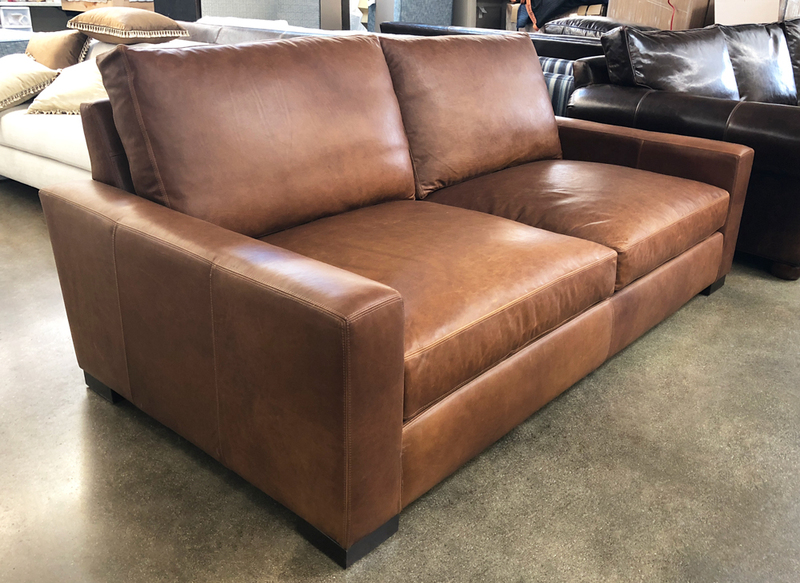 When brand new, the color of Berkshire Chestnut is at it’s deepest and most intense, but even as it travels on the way to you the color will mellow a bit and it will continue to do so as you use the furniture. 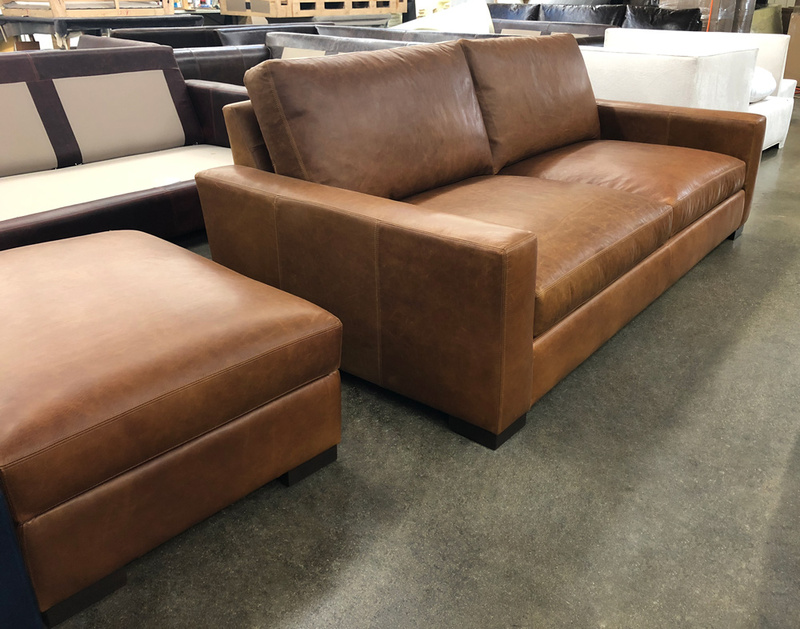 The Braxton Sofa Chaise sectional can be made with the chaise on either side, but we do offer a variety of Braxton Sectionals that can be made in any configuration you can imagine. 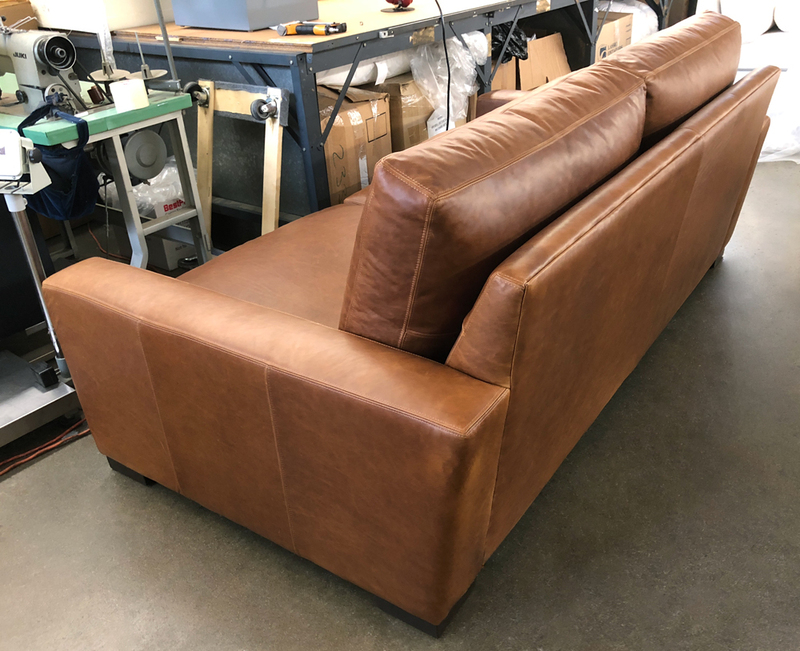 Everything’s possible – Customize your sofa here! 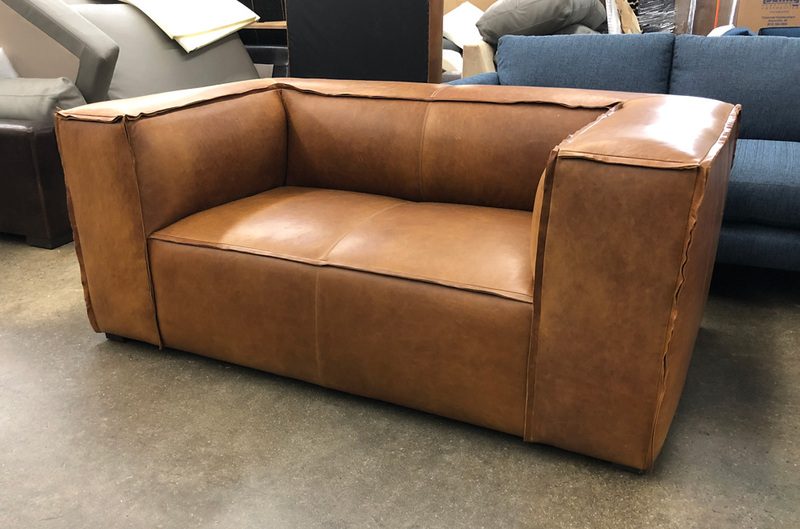 If you’d like to get a feel for the leather, request leather samples here! 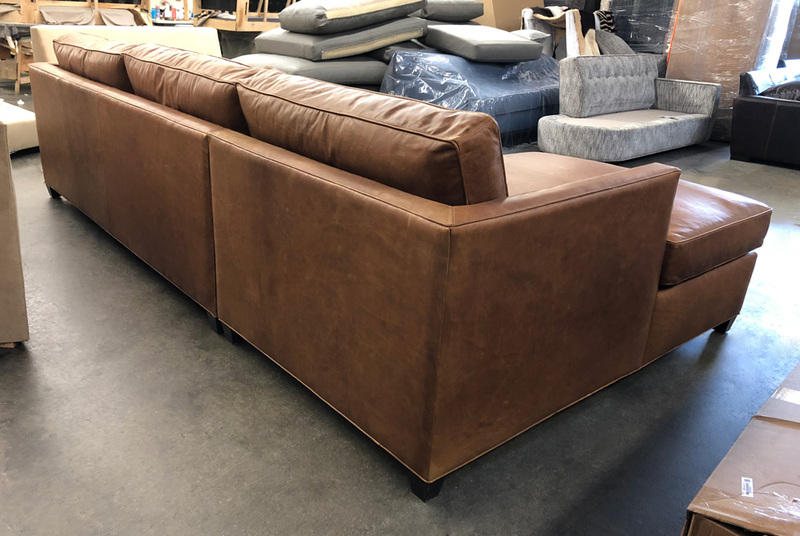 This entry was posted in Braxton, Custom Leather Order Feed and tagged 43" Deep, Bench Cushion, Berkshire Chestnut, braxton collection, braxton leather sectional, braxton sofa chaise sectional, Italian Berkshire Chestnut, Italian Berkshire Leather, No Ears on February 12, 2019 by LeatherGroups. This 8ft. 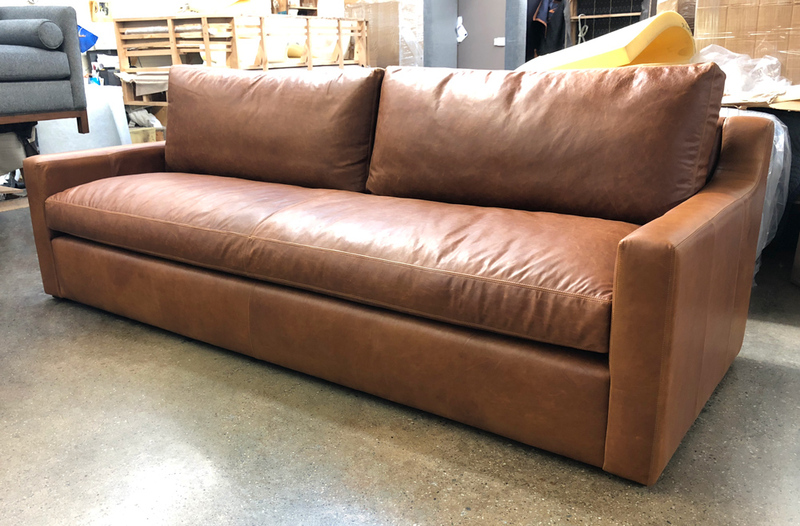 Arizona Leather Sofa looks incredible in Italian Berkshire Chestnut Leather. 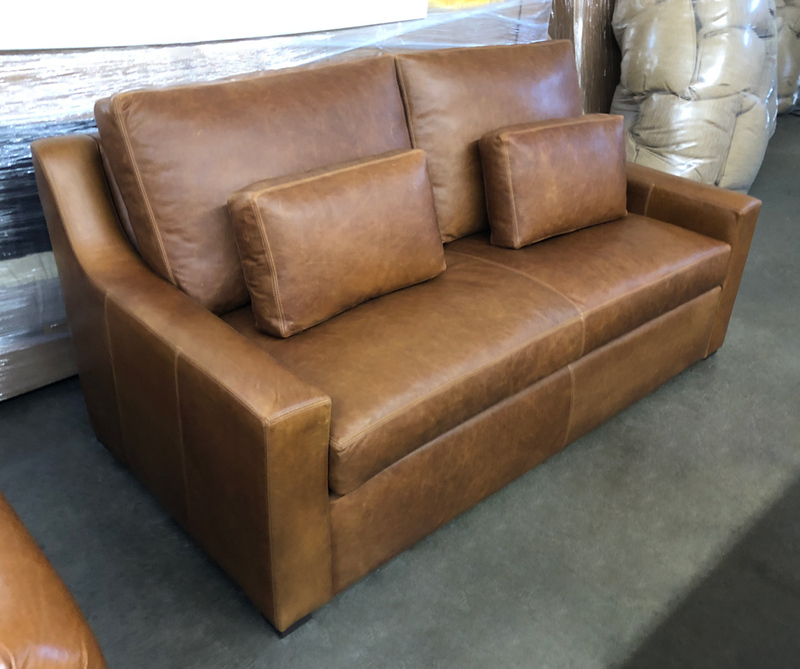 The tufted cushions provide both support and feather & down comfort and the true 8-way Hand Tied Suspension option this customer selected will perform for a very long time to come. 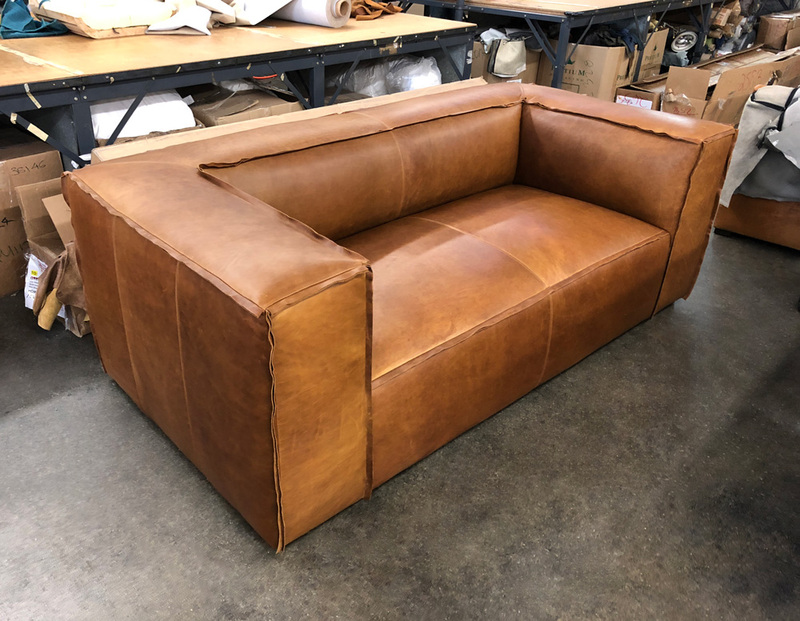 This entry was posted in Arizona, Custom Leather Order Feed and tagged 39" Deep, Arizona Leather Collection, Arizona Leather Sofa, Berkshire Chestnut, Italian Berkshire Leather, tufted on September 4, 2018 by LeatherGroups. 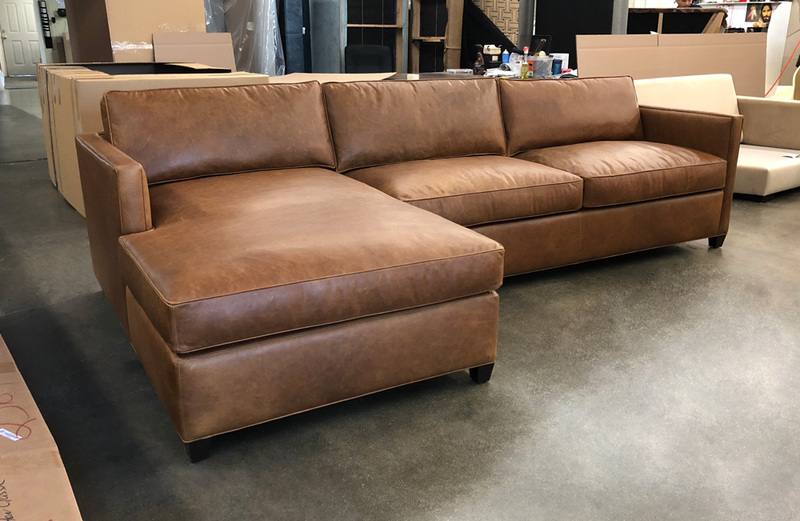 It was great working with this customer in Iowa to select her perfect combo; a Braxton Leather Sofa paired with a matching Braxton Leather Storage Ottoman, all dressed in beautiful Italian Berkshire Chestnut leather. 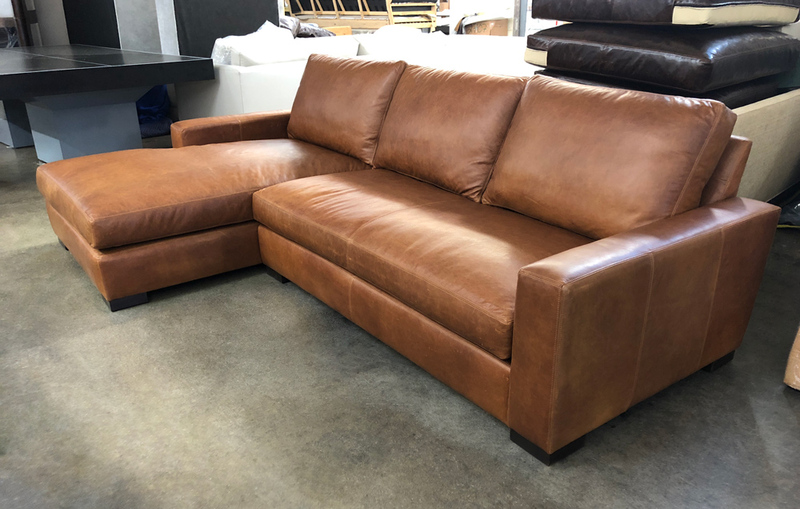 Berkshire Chestnut is one of our more popular leather selections. 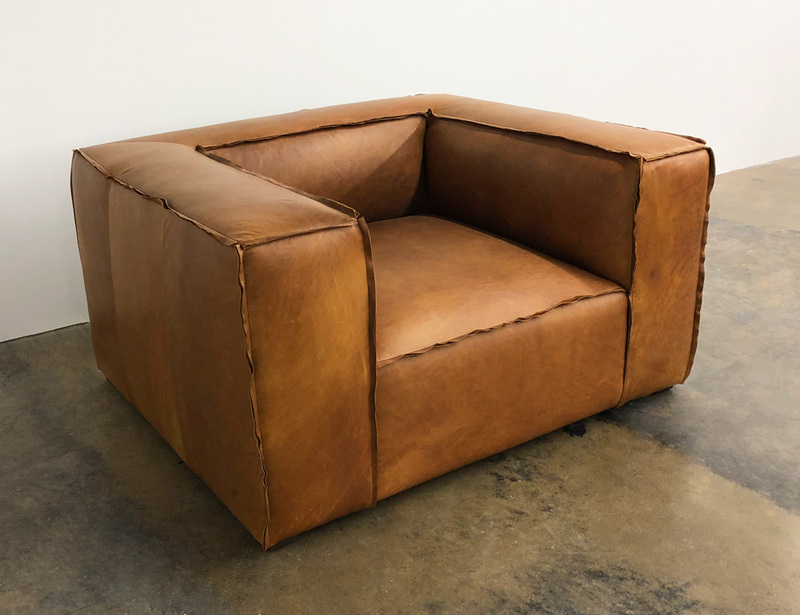 This leather scratches easily (they blend easily too) but the accumulation of those scratches becomes part of the character as this leather burnishes and polishes, developing its patina over time. 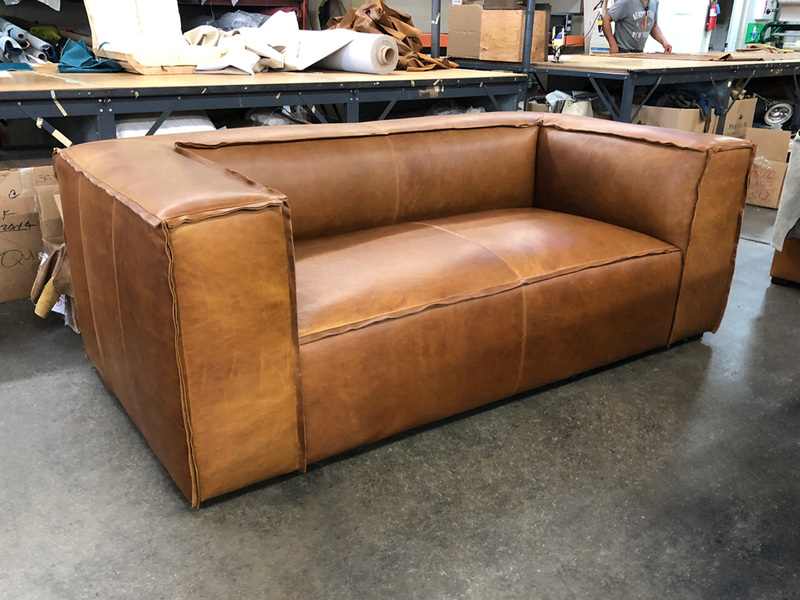 The first few scratches can be alarming, but it’s part of the process, and the end result is part of what people love about these oiled pullup leathers. 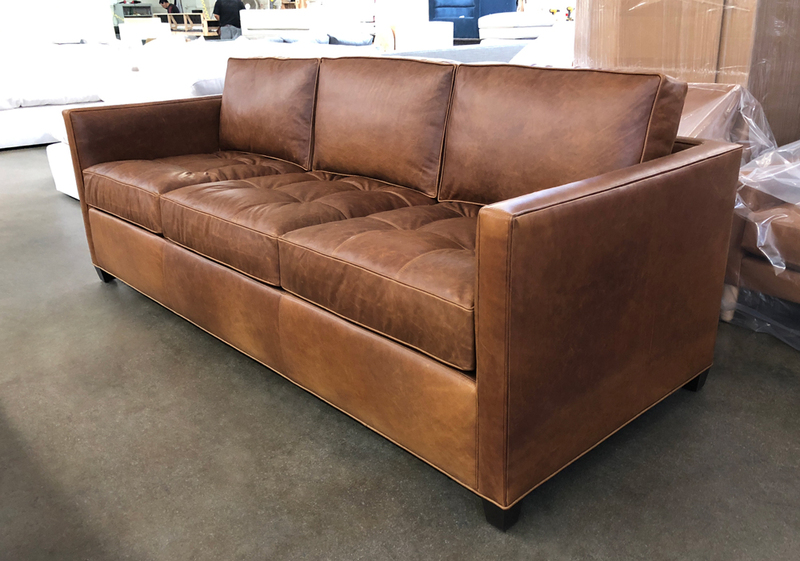 Berkshire is also a full grain, which means it’s not corrected or mechanically altered and it will feature natural markings and scars, which are again part of the character. 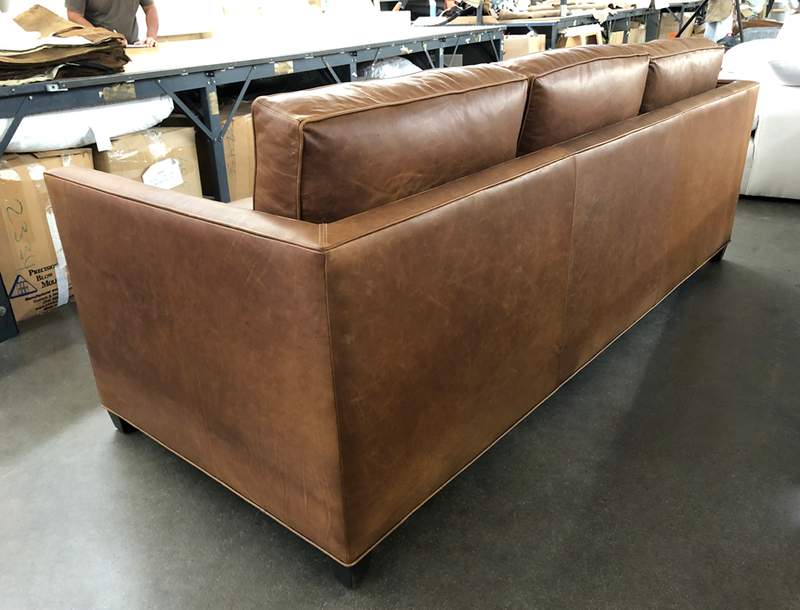 Berkshire is also Full Aniline, so all of the color is achieved by soaking and tumbling the hides in drums of translucent aniline dyes. 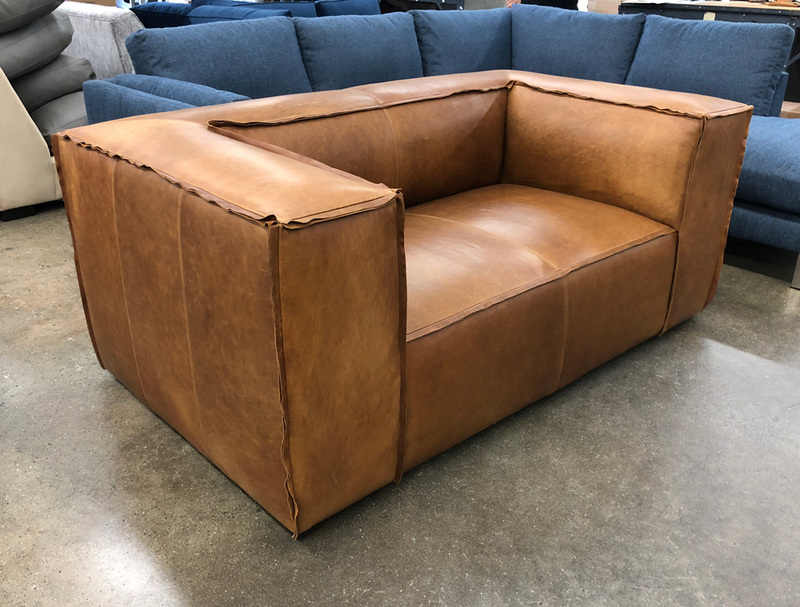 These dyes do not paint or cover up natural color variation and markings inherent across natural leather hides, they merely lend color to the natural beauty of the hide. 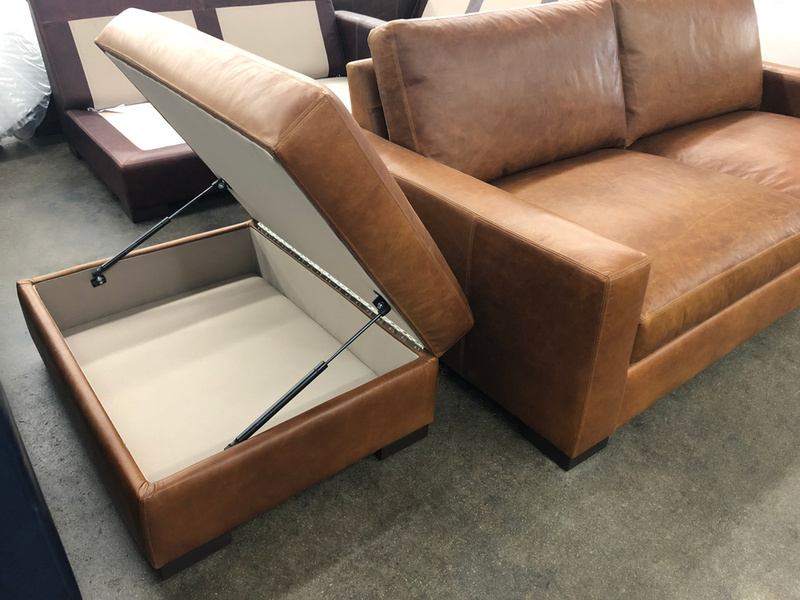 Our Braxton Leather Storage Ottoman is a popular add on option for customers buying our Braxton Leather Sofas and Sectionals. Struts assist with opening the lid to reveal storage, and also slow the closing of the lid for a soft landing. 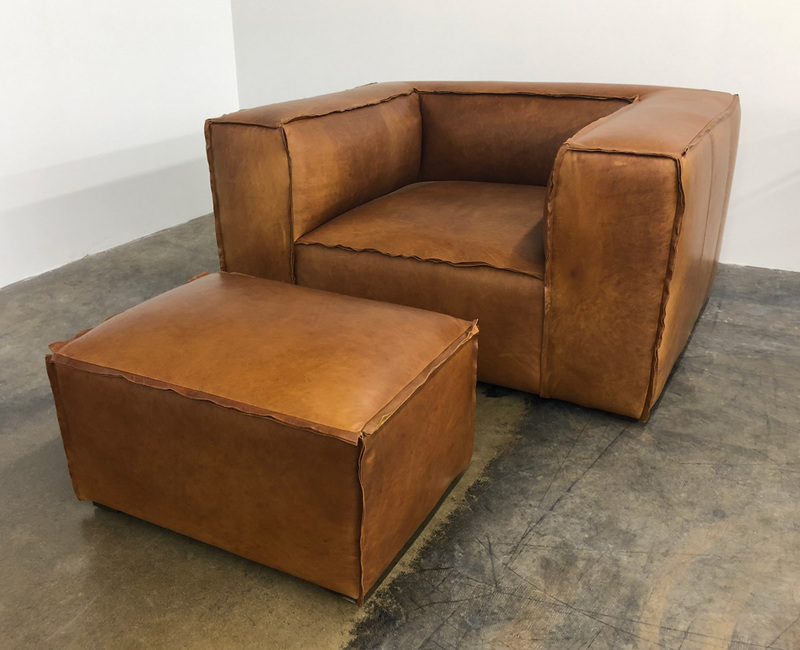 Customers love to use these ottomans as coffee tables, simply placing a tray on the ottoman, and with the tray removed, the ottoman can be used to extend the sofa seating, or even independently off to the side as extra seating in a pinch. 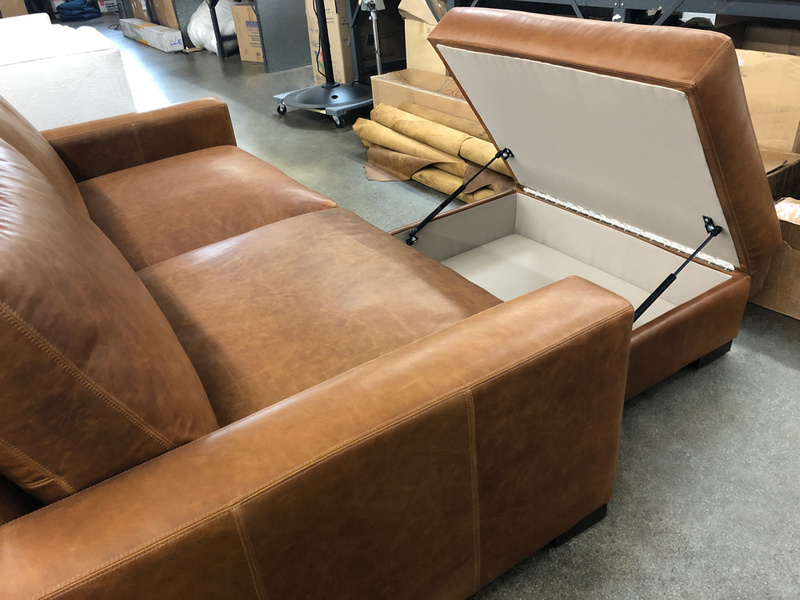 This entry was posted in Braxton, Custom Leather Order Feed and tagged 46" Deep, Berkshire Chestnut, braxton, Braxton Cocktail Ottoman, Braxton Leather Cocktail Ottoman, braxton leather sofa, Braxton Leather Storage Cocktail Ottoman, full aniline, full grain leather, Italian Berkshire Chestnut, Italian Berkshire Leather, No Ears, Storage Ottoman on July 3, 2018 by LeatherGroups. 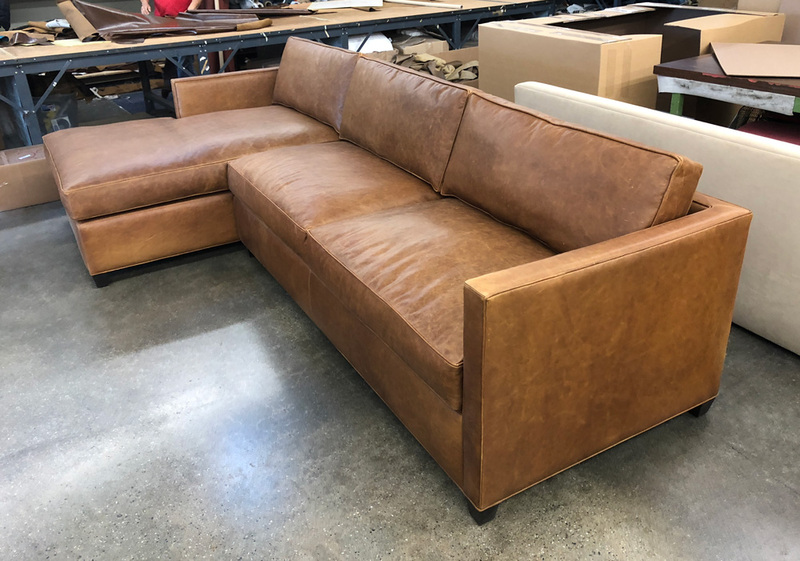 Italian Berkshire Chestnut is easily one the top leathers with customers here at LeatherGroups. 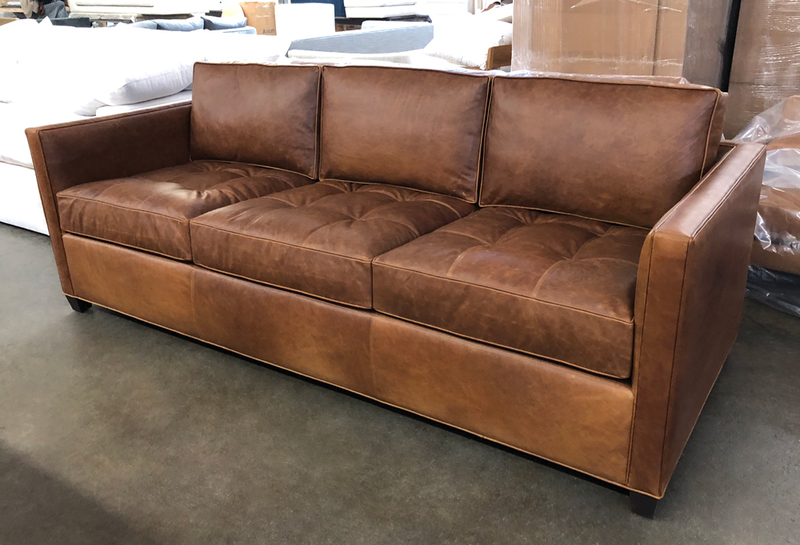 Full Grain leather, with natural characteristics and markings intact, telling the true story of these European Bull Hides finished in Northern Italy. 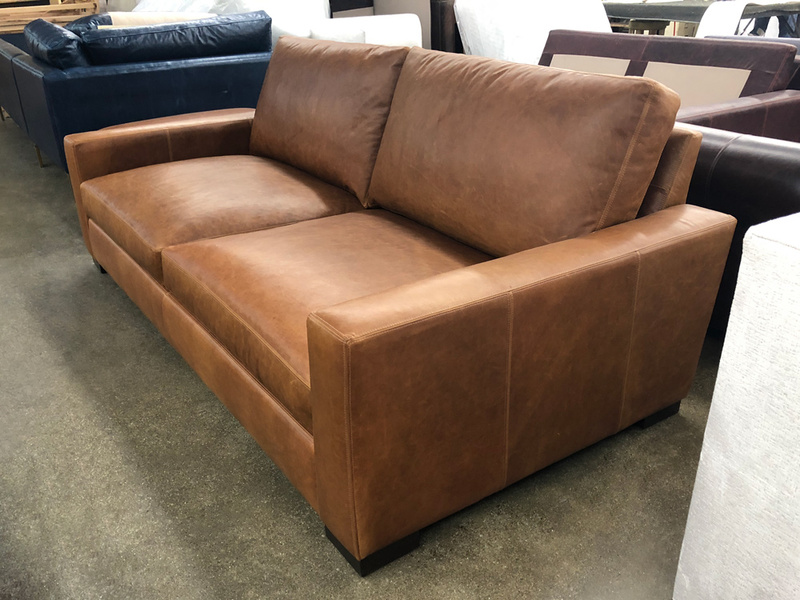 Berkshire is an oiled pull-up leather, with a softer matte finish that distresses and burnishes with time. 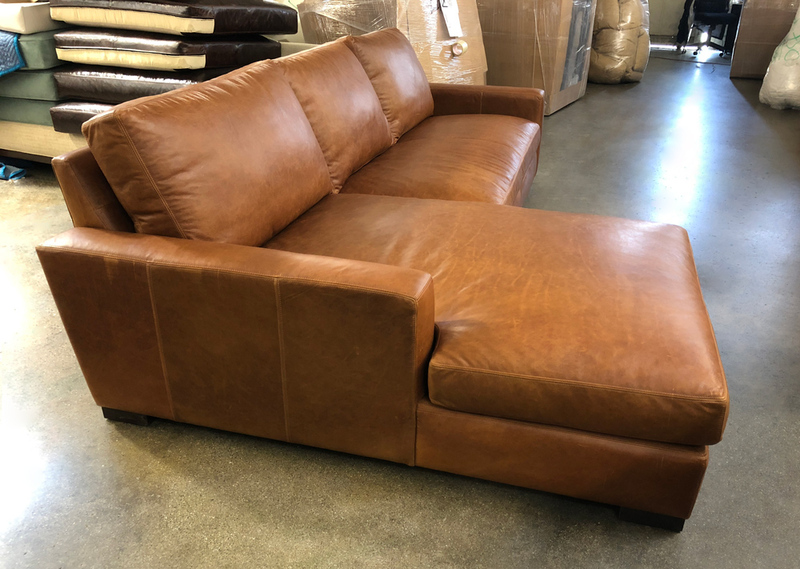 This customer’s Arizona Leather Sofa Chaise Sectional was made with a small custom option…no tufting! 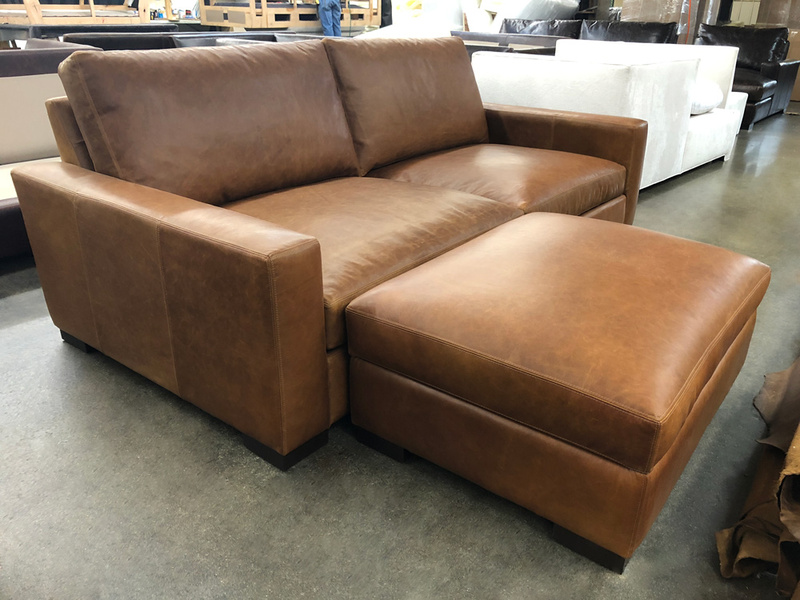 These feather and down filled seats and backs are built for comfort and will soften as the leather breaks in, allowing you to truly experience the feather and down conforming layer. 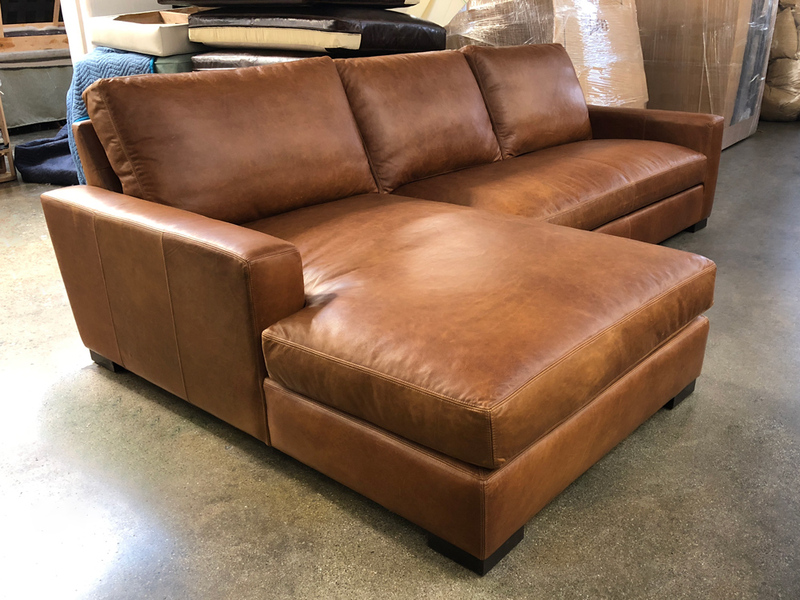 The Arizona is also available as a sofa in sizes from 6 to 11 feet in length, and we also make matching Arizona Leather Cocktail and Storage Ottomans. 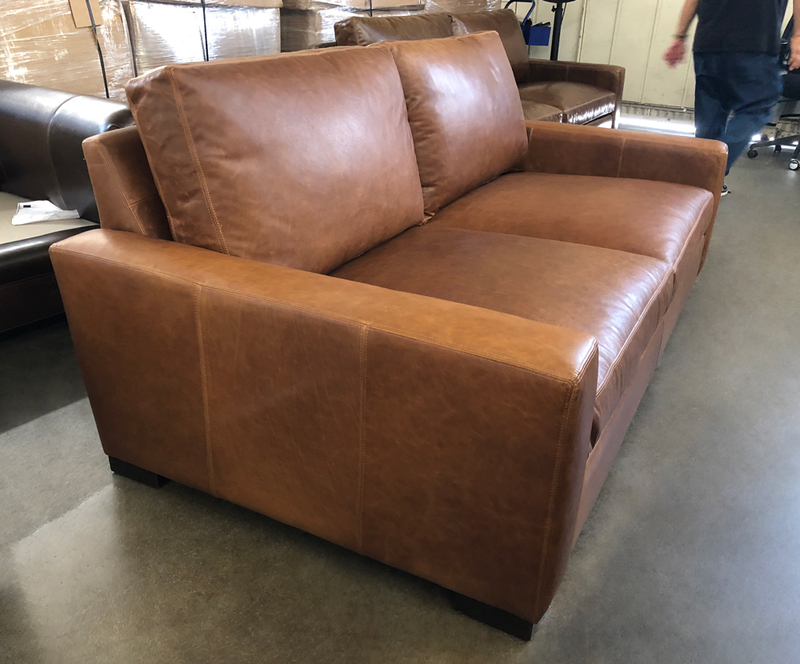 This entry was posted in Arizona, Custom Leather Order Feed and tagged 39" Deep, aniline dyed, Arizona Leather Collection, Arizona Leather Sectional, Arizona Leather Sofa Chaise Sectional, Berkshire Chestnut, full aniline, full grain leather, Italian Berkshire Chestnut, Italian Berkshire Leather, Leather Sectional, pure aniline on May 8, 2018 by LeatherGroups. 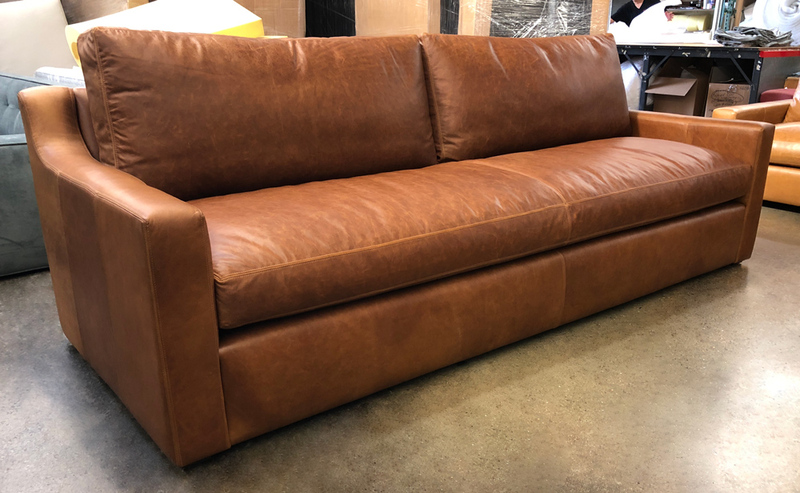 This entry was posted in Bonham, Custom Leather Order Feed and tagged 41" Deep, 47" Deep, Bench Cushion, Berkshire Chestnut, Bonham Leather Chair, Bonham Leather Collection, Bonham Leather Sofa, Fulham Leather Chair, Fulham Leather Collection, Fulham Leather Sofa, full aniline, full grain leather, Italian Berkshire Chestnut, Italian Berkshire Leather on May 7, 2018 by LeatherGroups.